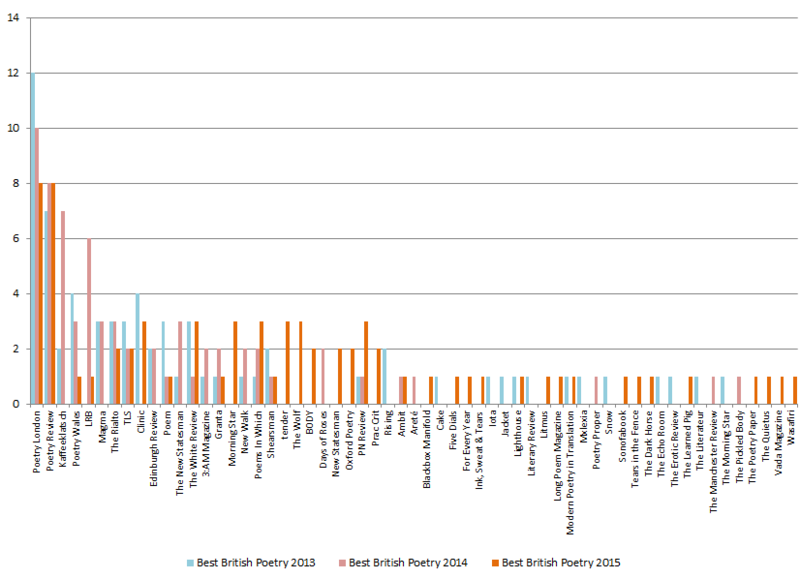 With poems from 37 different magazines, The Best British Poetry 2015 has the most breadth of the series so far. 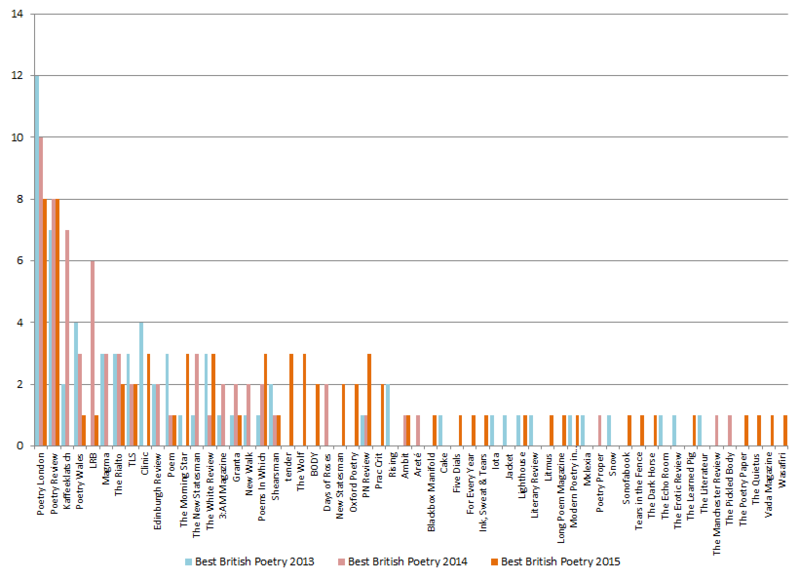 Gender distribution (I’m increasingly uncomfortable with this, but it’s notable for The Best British Poetry 2015 as the balance is, it seems, majority female for the first time in the series.). 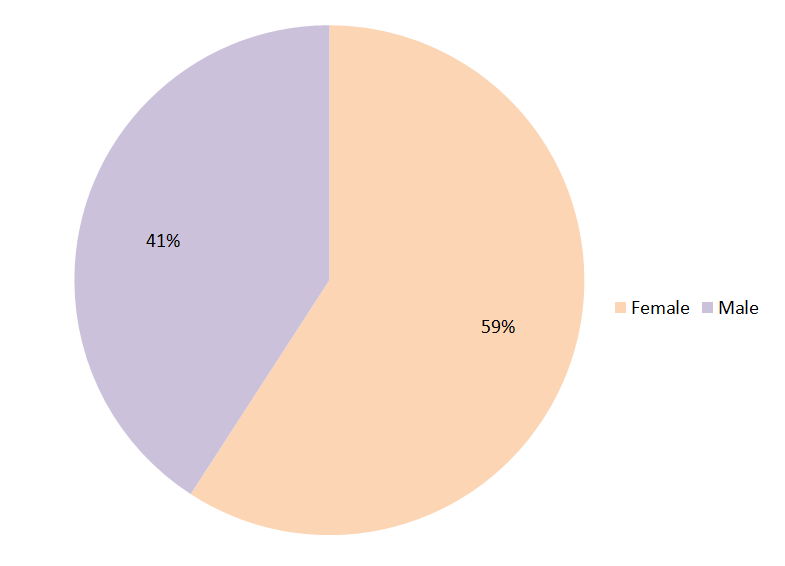 I’m afraid I’ve continued to guess at categorising contributors as ‘male’ or ‘female’. 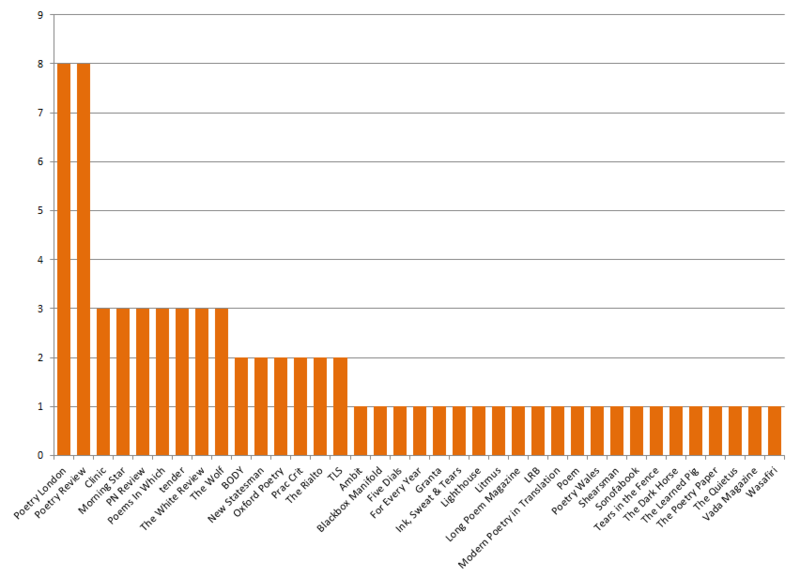 This is definitely incorrect, and not something I plan to continue if the anthology series continues and if I continue to post these numbers. However, it’s worth giving Emily Berry credit for apparently avoiding a majority male contributors, and it’d be a shame to not acknowledge that.